We encourage you to consider applying for postdoctoral fellowships (Marie Curie, British Academy, Leverhulme, Newton International, ISRF etc.) to hold at CISRUL. 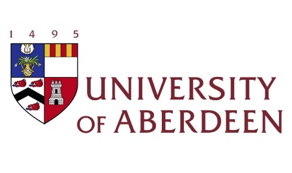 If we feel that you would be a strong applicant and your profile and proposed research fits with CISRUL, we can offer you funding to come to Aberdeen for a few days in order to develop an application with us. Since postdoctoral schemes stress the fit between applicant and institution, we ask that you begin by looking at the detailed information on this website, in order to decide whether CISRUL is the right place for you to develop your career as a researcher. The next step would be to contact the CISRUL member whose discipline and interests are closest to yours. We will then consider inviting you to Aberdeen to spend a few days developing your application. CISRUL will usually fund travel (up to £750) as well as board & lodging (up to 7 days) for promising applicants to visit us. You would meet regularly with your proposed mentor/s and with officers of the University’s professional services. In addition to working on the fellowship application, you would normally give a CISRUL seminar and engage with CISRUL PhD students. Marie Curie European Fellowship scheme (deadline in September each year) for researchers of any nationality, at any stage of their academic career, to develop their careers through 1-2 years of residence at a European university. You must have a PhD in hand and, given the competition, you are normally expected to have at least 2 years of high quality postdoctoral experience. You must not have lived in UK for more than 12 months in the 3 years prior to the Marie Curie deadline (September each year). You would be expected to be in residence in Aberdeen for the 1-2 years of the Fellowship (except for periods of research, conference travel or secondment).